This paper explores Albert Camus’s notions of the absurd in The Myth of Sisyphus and draws correlations with the movement for indefinite life extension and the big picture of existence. Calorie vacuums playing in the mud, isn’t that what we are when it comes down to it? We guess our way through much of life, trying not to spend too much time thinking about how trivial it all may or may not be so as to see about keeping the levels of despair down, waiting for our turn on the chopping block… We try to make sense of this life but in the end, can never fully convince ourselves that we have because we never fully do. That challenge is a mountain whose top hasn’t been seen yet. People are drawn to understand what the most sensible things to do with life are, or as Albert Camus writes “the meaning of life is the most urgent of questions”. It’s a ballpark question. People thirst to make sense of their being, to understand what’s going on, for meaning, to track down and engage the most profound implication. Is thirst proof that water exists, as Gaston Bachelard says? Even rocks mean profound things, and we are self-aware supercomputers in a space filled with variables and has no known walls. It is very improbable that there is not a fundamentally profound implication within such circumstances. How might we ever make sense of our existence? Masses of people are desperate with this “hope of another life one must ‘deserve’” and often take an irrational “leap”, as Camus says, to “some great idea that will transcend it, refine it, give it a meaning, and betray it.” Many rest on the hope that they’ll land a job they really love and can shine in someday but don’t put serious effort into figuring out what that would specifically be let alone work to make it happen. Is working to pioneer the full scope of everything that exists a duty? I have been contemplating aspects of that question for some years now. 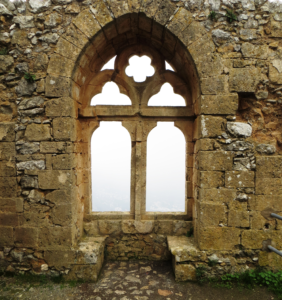 Here I move in the direction of articulating its nature and making the case by drawing out correlations with life extension and Immanuel Kant’s thoughts in The Metaphysical Elements of Ethics. His notion of “categorical imperative” is that of a universally applicable, non-contradictory, absolute necessity which everyone can use pure practical reason to understand without it needing to be experienced or taught to them. 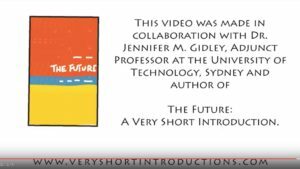 “The Future: A Very Short Introduction” (OUP, 2017) by Dr. Jennifer M Gidley. 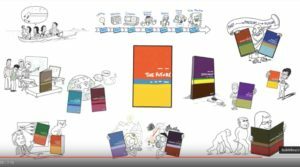 Oxford University Press has just released a wonderful little animation video centring on my book “The Future: A Very Short Introduction” published in 2017. In an entertaining way it shows how the concept of the future or futures is central to so many other concepts — many of which are the subject of other OUP Very Short Introductions. The VSI Series now has well over 500 titles, with ‘The Future’ being number 516. Create your own VR space with STYLY’s intuitive interface. Recently, I spoke at VRTO2018 in Toronto, Canada—which gave me a chance to see some of the bleeding edge tech in VR, AR, and Mixed Reality. Of all the VR tech I encountered there, it was Psychic VR Lab’s creation Styly that captured my imagination most of all. Terrence McKenna once described virtual reality as a “technology that will help us show each other our dreams.” He discussed this angle at length, finding that VR’s potential to share our subjective experiences with each other on an embodiment-based medium, to have vast consequences for our species. “In the cyberdelic future, artists will rule because the world will be made of art.” McKenna further speculated that he saw VR as a potential next step in the evolution of language itself. When and how and with what technology this will be achieved has been an open question. 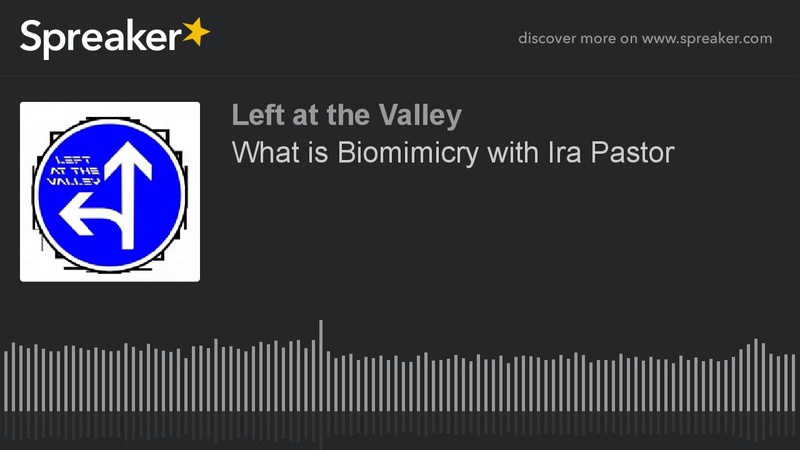 Yet, with the arrival of Tokyo-based company Psychic VR Lab and their new tool Styly, we seem within closer striking distance to McKenna’s dream of “inhabiting” the imagination more than ever before. Psychic VR Lab made a splash in 2015 by providing a website that hosted and processed images using Google’s phantasmagoric Deep Dream. 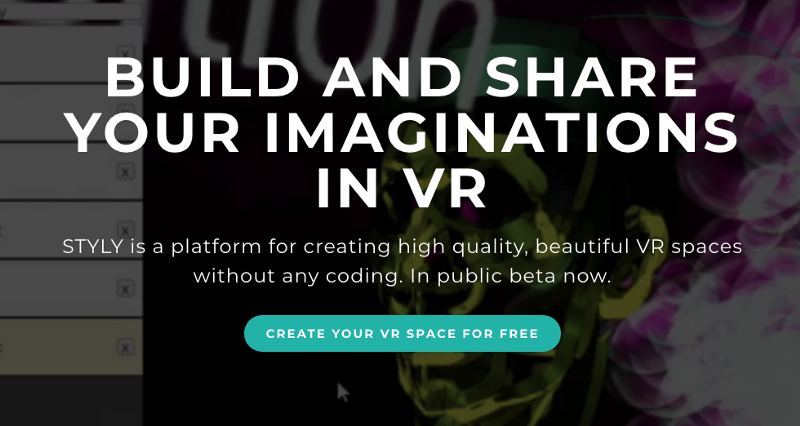 Their new project Styly is a hyper-user-friendly platform for creating shareable VR worlds. The browser-based interface consists of just a few buttons. Model content can be browsed and imported from a variety of pre-existing libraries like Sketchfab, 3D Warehouse, Unity’s asset store, and Google Poly. This means you do not need to make your own models from scratch — they can be imported in. Images can be uploaded from Instagram, videos from YouTube (including 360 videos), and music from Soundcloud are all a single click away. Mp3s and image files can be imported from you desktop, and it also supports Unity, SketchUp, Blender, Tilt Brush, Blocks, Maya, and Mixamo. For me, the Styly interface had about a 12-minute learning curve — And I have not played with a modeling or animation program for about 15 years. The first thing I created was a Gigeresque nightmare world, and it took less than half an hour to build. Apart from family, I typically steer clear of religious topics. I identify with a mainstream religion, but it is completely beside the purpose of Lifeboat Foundation, and it is a personal affair. 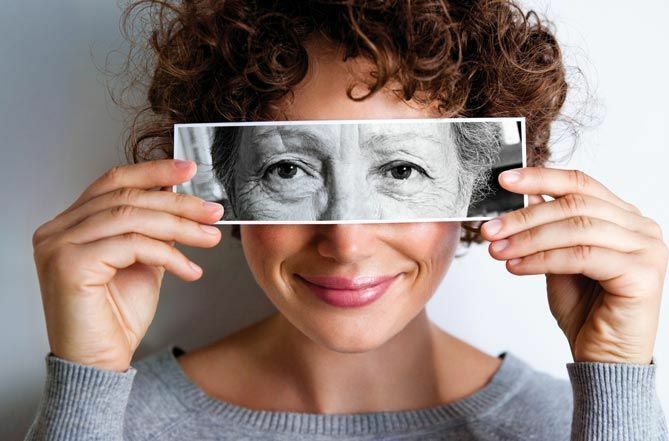 Is Anti-Aging Technology Creating A Life Worth Living? Eliminating disease is an admirable ambition but it seems it’s the lack of education, environment and lifestyle that is really holding people back and causing them to lose interest in life.